The son of immigrants, Salman ‘Sal’ Khan was born in Metairie, a suburb of New Orleans, Louisiana. His father was from Barasia, Bangladesh – his mother from West Bengal, India. Sal attended Grace King High School, whose diverse student body ranged from a few students recently released from jail to others heading to the very finest of universities. For his part, Sal enjoyed playing heavy metal music and was a very bright student. He was one of those Grace King kids heading to a top-notch school. Sal attended the Massachusetts Institute of Technology, MIT, where he earned multiple degrees in electrical engineering, mathematics, and computer science. Khan would go on to earn an MBA from Harvard Business School. In 2003, with his degrees in hand, Khan went to work as a hedge fund manager. Around that time, he began tutoring his cousin Nadia. who was struggling with math back home in New Orleans. He delivered his lessons via the internet, using the Doodle notepad program. It didn’t take long for more cousins to ask to be also be tutored by Khan. The demand from his extended family became so great that in 2006, Khan opened a YouTube channel and began posting basic videos for his cousins’ benefit. YouTube was in its infancy at the time with videos limited to a maximum of 10 minutes. Khan created a black background and used very simple graphics to create his lessons – also making the decision not to personally appear on camera. Believing that his lessons would only be used by his cousins, Khan left the videos open to the public. 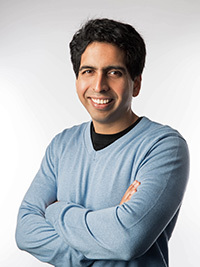 Much to his surprise, Sal Khan soon began receiving comments on his math tutorials, including messages with notes of encouragement and thanks. Not long afterwards, Khan began receiving letters from users. One particular letter was from a mother who stated that his tutorials had helped her two disabled children and that her family was praying for Khan’s family. That letter gave Sal Khan pause for thought as he realized working for a hedge fund wasn’t adding a great deal of value to society. Interest grew, to the point that the Los Altos, California school district began a pilot program incorporating Khan’s tutorials into their curriculum. Khan had continued to create and post video tutorials. As the number of tutorials grew, visits to his YouTube channel grew exponentially. By 2009, Khan decided to leave his hedge fund job to pursue his tutorials full time. Sal’s mission was to create a high-quality, world-class education – free for anyone, anywhere in the world. As if that vision wasn’t big enough, Khan decided that the key to success was to create a not-for-profit model. Though his doubters and critics were many, his logic was simple. He saw his vision as having the potential to be something significant and permanent. He likened it to the next Smithsonian or the next library system. With that, Sal Khan founded the Khan Academy. Working for free, driven by his dream, Sal Khan pursued the development of the Khan Academy at full throttle. His education model was built on a platform of mastery learning. His logic goes like this. The current education model is teach, homework, teach, homework, test. Students with ‘passing’ grades were moved to the next level, the next grade. However, those scoring a 75 weren’t competent in 25% of the content. Even those who got grades of 95%, were missing 5% of the lesson. Being advanced with those shortfalls in learning, would eventually create even greater problems at more advanced levels. Khan’s video tutorials allow students to learn at their own pace, and to learn 100% of the material. 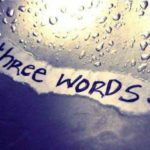 Having fully mastered the lessons, allows the next level material to be understood sooner and more completely. In traditional classrooms, students who had advanced faster than others could actually act as tutors, in turn, lessening the burden on the teacher. Today, the Khan Academy has 200 employees serving 15,000,000 monthly learners in 191 countries. To date, the tutorials have over 1.5 billion views. The Khan Academy has achieved this level of success because it was created by a fearless brand – Sal Khan. Khan’s focus was on adding value to people – to society – by providing free education. His work caught the attention of some very key people. Ann Doerr was one of the first financial supporters, first donating $10,000 to the cause followed by another endowment of $100,000. Arguably the biggest boost to The Khan Academy came from a completely unexpected source. At the Aspen Ideas Festival in 2010, Bill Gates stated that he used The Khan Academy tutorials to teach his own children. Having a man of Gates’ wealth give such a powerful endorsement, validated The Khan Academy as few others could have. If one of the world’s richest individuals endorsed this free education, it had to be the ‘real deal’. After all, Gates could afford any educational resource he wanted to. Suddenly, people realized that the words ‘free’ and ‘world-class’ were not mutually exclusive. The Gates Foundation went on to become a major financial supporter and Bill Gates a valued adviser to Sal Khan. Since then, other significant organizations have begun to provide financial support including Google and Microsoft. Mexican billionaire, Carlos Slim, funded having The Khan Academy tutorials translated into the Spanish languages. There’s a great deal to learn from Sal Khan and the success of The Khan Academy – over and above the knowledge delivered in more than 6,000 tutorials. There are lessons for branding, for business, for life. Start with Significance –Traditional thinking, certainly in the U.S., is that we should focus first on achieving financial success – then explore opportunities to add significance to society. What Sal Khan proves is that beginning with a focus on creating significance first, can then lead to financial success. Khan pays his team well, however, he can only do that because of the significant contribution The Khan Academy adds to the world. That, in turn, has garnered vast financial support. Sal Khan and his Khan Academy, are both fearless brands – comprised of passion, purpose, and persistence. Both deliver tremendous value – certainly more value than they take in payment. The formula is relatively simple – it’s not easy. However, if we can learn from Khan’s success – we too can become fearless brands and achieve the success that we desire.